If you can't see your Prota on the list, it may be because you used different email accounts to when you set up MicroBot Push app and when you configured your Prota using Prota Space app. 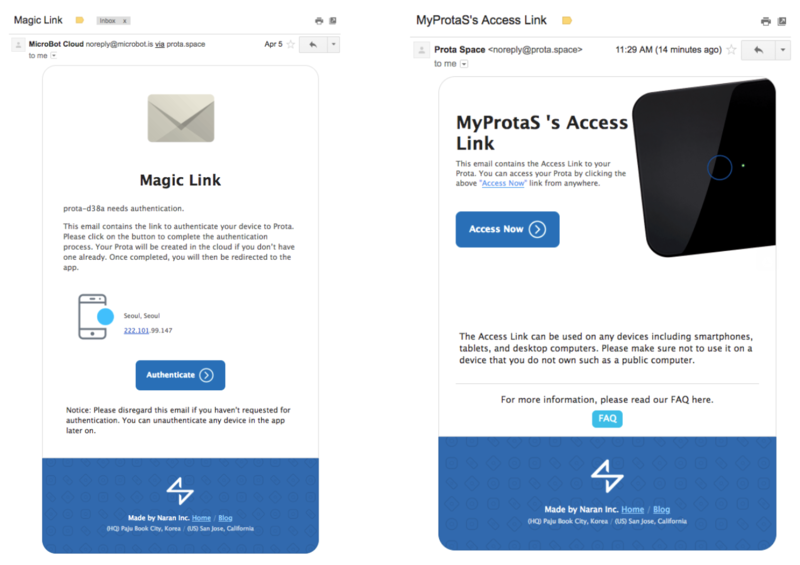 In order to have your Prota appear on the list, you must use the same email address for both your Magic Link and your Prota's Access link. Uninstall and reinstall MicroBot Push app and, when you are asked to enter your email to get your Magic Link, use the same email address as your Prota. Note: When entering a new email address to get your Magic Link, you will create another account in the Cloud. Therefore, once you are done with the initialization of the app, if you had paired some MicroBots with your phone previously, they won't appear anymore. You will have to reset and pair again your MicroBots with your phone. 2. Reset your Prota (See Method 1: Software reset), wait until the AP mode is activated and add it to your Cloud following this guide: Add a MicroBot Hub. If you have any questions or encounter an issue, please contact our Support Team.